Our dressing rooms are excellently suited for persons who, faced with a tough choice, end up taking both. 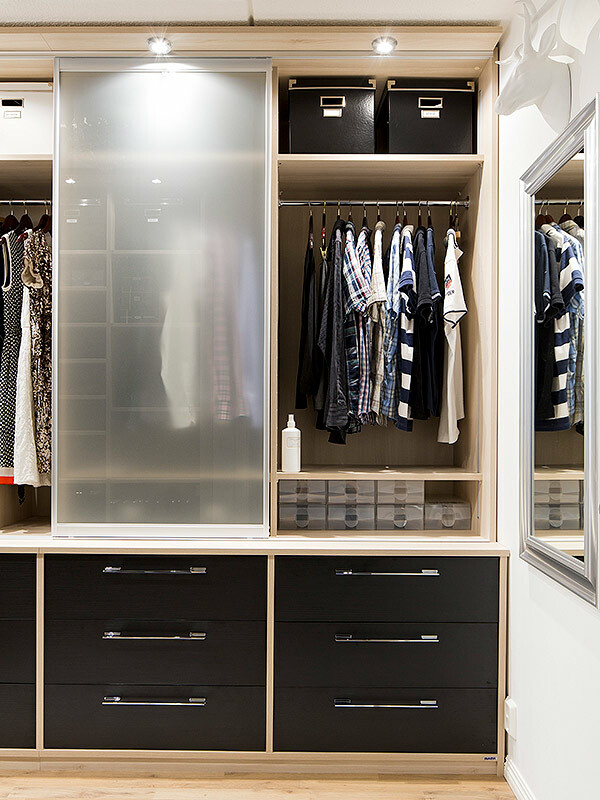 A stylishly decorated walk-in closet is like a personal catwalk, where styles change but the clothes remain tidy and in order – always ready for you to wear. 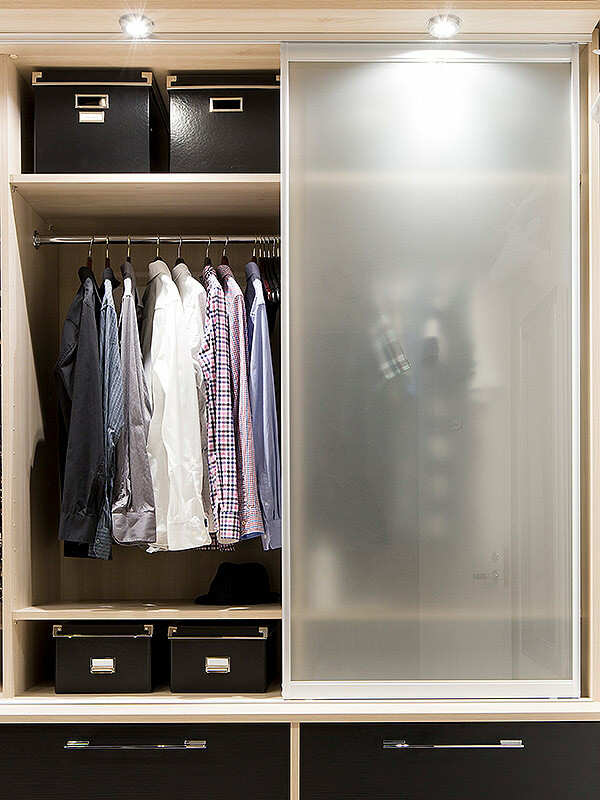 Those with a more practical attitude towards walk-in closets can hide their seasonal clothing behind sliding doors and store some less frequently used clothes on the shelves, keeping them from being on the way in the wardrobe. 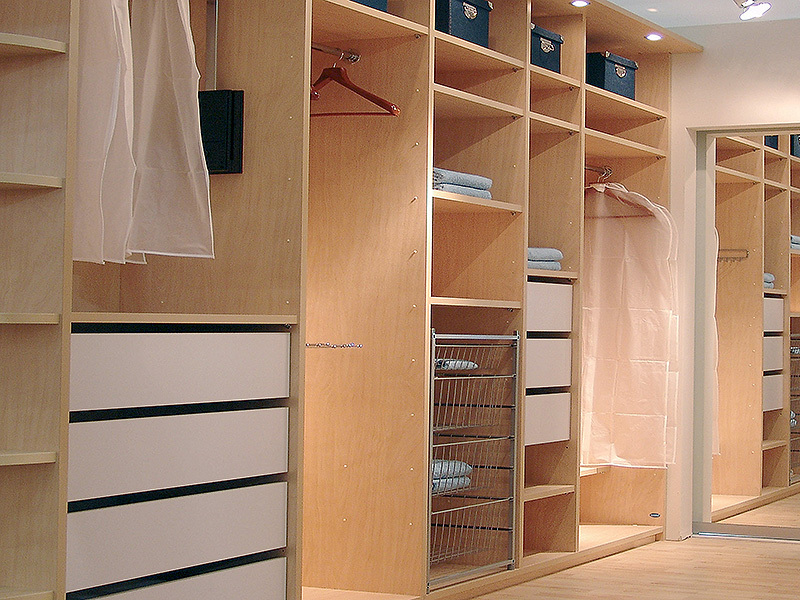 Learn more about our decoration ideas below and design your own walk-in closet!